The company's second project in SmartCity will be launched in another four months. Prestige Cyber Green-I, the company's first project in SmartCity, is coming up in an area of 4.61 acres. 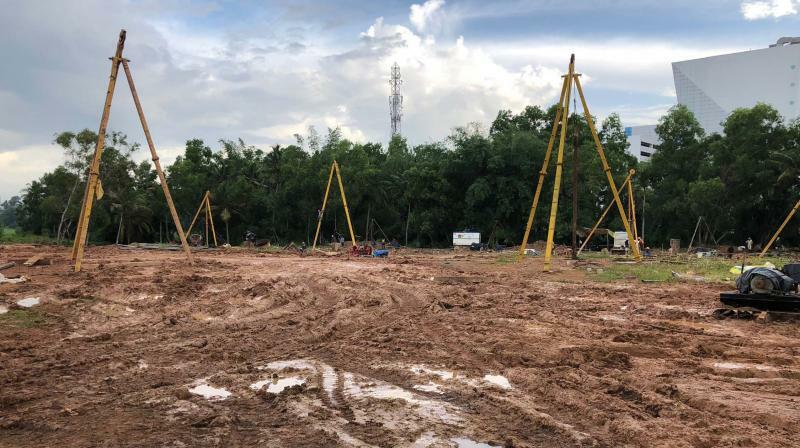 KOCHI: Prestige Group, a leading property developer that owns IT complexes in major cities, has started piling work of its IT project, Prestige Cyber Green-I, at SmartCity Kochi. Prestige Cyber Green-I, the company's first project in SmartCity, is coming up in an area of 4.61 acres. It will have a total built up area of 8,77,630 sq. ft. and a leasable area of 5,39,800 sq. ft. "Prestige Cyber Green-I is our first IT project in Kerala. We look forward to attract some big names in the IT sector by offering world class facilities," said Thankachan Thomas V., senior vice-president, Prestige, Kerala. He added that the state in general and SmartCity in particular offers huge potential for growth in the IT sector. The company is aiming to complete piling work in four months and super structure in two years. The project is designed as per the green building concepts to provide a premium IT space to the companies. Prestige Cyber Green-I will have capacity to house 5500 employees. The company's second project in SmartCity will be launched in another four months. The project, which is planned in four acres of land, will have a built-up area of 6.21 lakh sq. ft. and leasable area of 4.08 lakh sq. ft. The projects are planned at an investment of Rs. 300 crore. The company presently has IT towers in Bengaluru, Chennai and Hyderabad. Its clientele include leading corporate entities like JP Morgan Chase, Oracle, Nokia and Airtel. "The state-of-the-art facilities developed by co-developers have been progressing at a very fast pace and we are on track to develop 6 million sq.ft. IT space by 2021," said Manoj Nair, CEO, SmartCity Kochi.